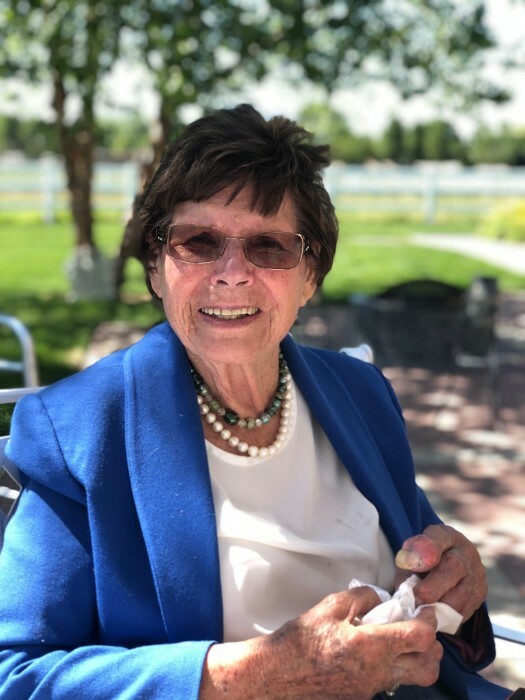 Peggy Joyce Jansson Peterson, born July 4, 1929 went to be with the Lord at the age of 89 on November 4, 2018 in Eagle, Idaho, of natural causes. She was born in Canton, Oklahoma to Thomas and Dorothy Jansson. After moving several times with her parents her family ended up living in Kuna, Idaho where she graduated from Kuna High School at the age of 16 in 1946. She worked as a secretary in the Nampa, Idaho area where she met her husband Otto Raymond Peterson, and they were married on April 17, 1949. Peggy and Raymond had three children while living in Nampa: Carolyn Peterson Reed, Cheryl Peterson Lotridge, and Martin Peterson. In 1959, they moved their family to Utah where Peggy worked as a housewife and realtor. In 1974, she and Raymond moved to Peace River, Alberta, Canada along with their son, Martin, where they lived for five years. In 1979, they moved back to Nampa, Idaho where they lived until Ray’s death in 1995. Shortly after Peggy moved to Boise, Idaho to be closer to her children. Peggy is survived by: her brothers, Charles Kibby Jansson and Glen Jansson; her sisters, Lynn Proffit and Geraldine Whittle; her daughters, Carolyn Reed and Cheryl Lotridge; her son, Martin Peterson; many grandchildren; great grandchildren; and a few great great-grandchildren. A visitation will be held, Tuesday, November 13, 2018 10:30AM to 11:00AM with the funeral service beginning at 11:00AM at River City Church (7540 W Northview Street Boise, Idaho 83704). A graveside service will begin at 2:30PM at Kuna Cemetery (1321 Boise Street Kuna, Idaho 83634).